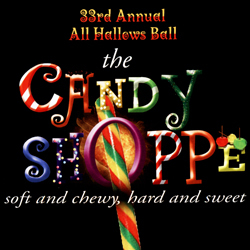 For Gobstoppers, Gummi Bears, Gumballs and Treats. You’ll ogle our Oompas. You’ll nibble our Nuts. You’ll chew on our Chocolates and Rolos and Runts. You’ll get the sensation. You won’t stop at one. You’ll double your pleasure and double your fun. So munch on our Marshmallows. Sample our Snacks. Come Butter our Fingers and Cracker our Jacks. 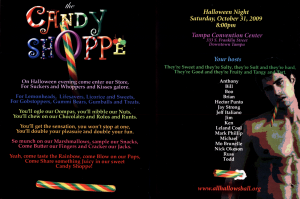 Yeah, come taste the Rainbow, come Blow on our Pops. 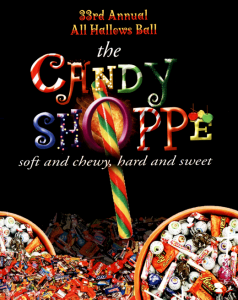 Come share something Juicy in our sweet Candy Shoppe!